Edgardo Miranda-Rodriguez is a Puerto Rican graphic novelist based in New York. He is the Creative Director and owner of Somos Arte, a production and creative services studio. Miranda-Rodriguez has written for Marvel Comics’ critically acclaimed anthology, “Guardians of the Galaxy: Tales of the Cosmos,” as well as the comic book series “Freak” written by Emmy award winning writer John Leguizamo. Through his original comic book character La Boriqueña, he addresses current socio-political issues related to Puerto Rico. 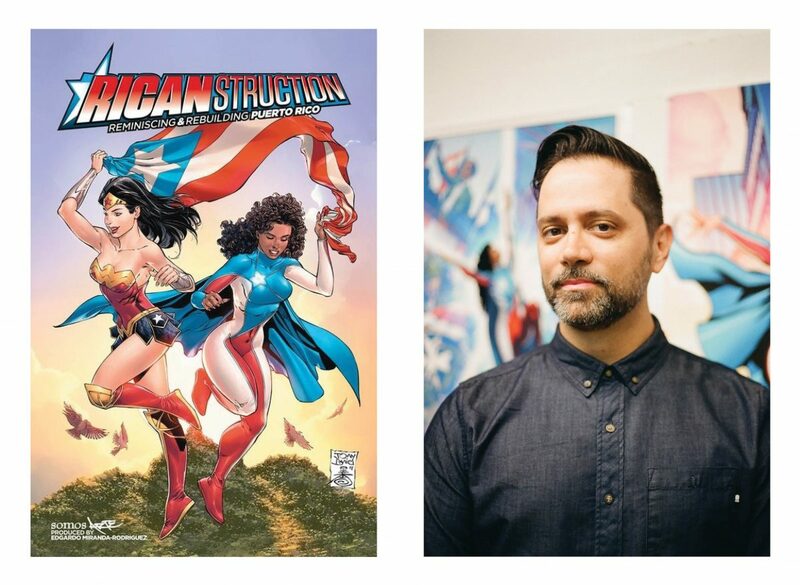 His recent novel “Ricanstruction: Reminiscing & Rebuilding Puerto Rico,” teams up La Boriqueña with some of the most iconic comic book heroes of all times: Wonder Woman, Batman, Superman, Aquaman, The Flash and many others. 100% of the proceeds from this anthology are going towards the continued hurricane relief efforts in Puerto Rico. Interestingly, Miranda-Rodriguez’s participation in Bitter Laughter coincides with the celebration of The Puerto Rican Heritage Month.